Ricki Wilson’s only novel Maggie’s fall received very positive feedback (av. 4.4 stars from 28 Amazon reviews). 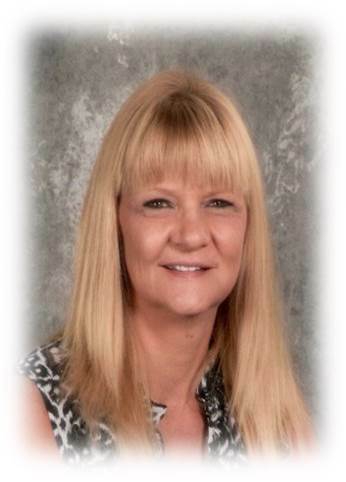 She is teaching English in a high school as her main profession. Let’s hear more about the book and the author in our next Q&A. – Ricki, What is your book Maggie’s fall about? 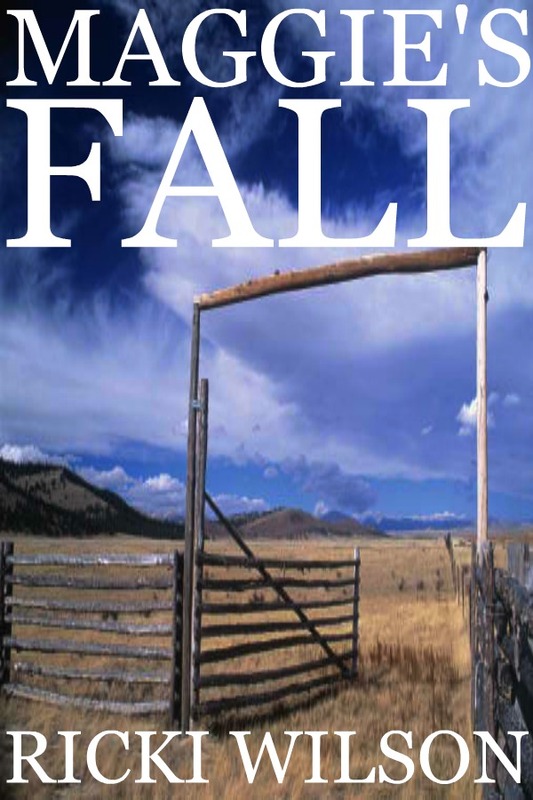 – Maggie’s Fall is about Maggie McClellan, a single and single-minded woman whose sole purpose in life is to protect the M-Bar Ranch and the M-Bar Ranch family: her son, T.J., Martha and Jonah (who have lived on the ranch as long as Maggie), the M-Bar horses, and one stray dog who knows all Maggie’s sorrows. Maggie is smart. She knows how to run a ranch and how to keep her guests happy; she knows when to stay out of Martha’s kitchen and not to leave Jonah’s tools lying around; she knows how to soothe a frightened colt, and that T.J. worries too much for a little boy, but she doesn’t know how to stop an anonymous investor from buying out her leases. Maggie will not lose everything her parents built. Saving the M-Bar is the only way to keep her parents’ memory alive. When the pressure of holding everything together weighs too heavily, Maggie breaks a long-standing rule: she rides off alone across the M-Bar pastures without telling anyone where she’s going. Witt McCreigh has been Maggie’s best friend her whole life. When Maggie never returns to the ranch, Witt saddles Maggie’s best mare, abandons the formal search party, and follows his heart. Witt rides with one hope—to find Maggie alive, and one regret—that he has never told her how much he loves her. – How did you decide to write the story? – Writing Maggie’s Fall began as an experiment to see if I could create the reading experience from the other side, to see if I could record a story as I was imagining it. The process was arduous and exhilarating in equal measure. Following the age-old adage to “write what you know,” I chose familiar subjects (stray dogs, horses, and cowboys) and wove them into a story. – What was the biggest challenge during the write up process? – Lack of time is the biggest obstacle to my writing. I am a professional educator. I teach English in a public high school by day, and I teach Composition at a local junior college in the evenings. This schedule is leaving me little time for writing. I love teaching, and I don’t want to give it up, but in my dream world, I would write full-time and teach part-time. Often I’m writing when I should be doing something else, which can allow guilt to creep in and silence the muse. I can never thank my family and friends enough for not giving up on me when I seemed barely accessible, and they didn’t even know why. I was finished with the first draft of Maggie’s Fall and into the editing stage before I even mentioned what I was doing. – How much time did you need to finish the story and to publish it? – I would imagine I spent two years on the novel, which includes long, stagnant stretches where I just could not find the time to lose myself in the writing. At times I tried to force the words onto the pages, and I ended up deleting over 50,000 words from the final manuscript. The only process that works for me is to watch the story in my mind and record it. When I’m in my writing zone, nothing exists but the story, and I never know what’s going to happen next until I’ve written it. When I step away from the keyboard and realize that four or five hours have passed, I feel as if I’ve had a satisfactory writing session. – What are you doing to promote your book by the best possible way? – I am no good at promoting myself or my own novel, but I accept the terrible truth that we authors must promote our own work. Finding that platform can be difficult, especially for new authors, so I decided to create a free platform for any author who wants to take advantage of it. I created a website for Maggie’s Fall and tied it to my Indie Spotlight where I can showcase the work of other authors. For as much as I dislike promoting myself, I am having a blast promoting others. I cherish the Indie authors’ community and their willingness to help one another. Indie Spotlight is my opportunity to give something back. This may not be the best way, but it’s the best way for me. – Why have you never published another book? – I am working on the sequel to Maggie’s Fall when I can make the time to write. There was a point when I thought I was close to being finished, but when I stopped to re-read, I realized that I had not put my best voice on paper. I trashed 201 pages and started over. I would rather delay publication of the sequel than insult readers with a mediocre effort. – Who are your personal Top 5 of best authors ever? – Discovering the literary canon fueled my addiction for words. I can now barely read anything without a pen in my hand for recording quick annotations (I love the “notes” feature on eReaders. ), and, for me, The Great Gatsby is the finest novel in existence. My reading tastes have become far more eclectic in recent years, and I try to divide my reading time between pleasure reading and literary fiction. Because I began Maggie’s Fall as a pleasure writing experience, I wrote it to be in the pleasure reading category; however, I would love to attempt a work of literary fiction one day. It’s always difficult for me to choose one favorite (with the exception of Gatsby), but literary works I treasure include Kingsolver’s The Poisonwood Bible, Steinbeck’s East of Eden, Martel’s Life of Pi, O’Brien’s The Things They Carried. – Is there anything else you would like readers to know about you or your work? I would like readers to know that Maggie’s Fall is neither genre nor gender specific. I don’t consider it a Romance, nor do I consider it a Western, though it does have romantic moments, and I hope it evokes the spirit of the west. This is very difficult to describe, and I’ve done a terrible job of getting this message out. General Fiction is such a vague category, but I think that’s where Maggie belongs. Ognian Georgiev is a sport journalist, who is working as an editor at the "Bulgaria Today" daily newspaper. He covered the Summer Olympics in Beijing 2008 and in London 2012. The author specializes in sports politics, investigations and coverage of Olympic sports events. Ognian Georgiev works as a TV broadcaster for Eurosport Bulgaria, Nova Broadcasting group, TV+, F+ and TV7. He is a commentator for fight sports events such as boxing/kickboxing and MMA. In May 2014 Ognian Georgiev released the English version of his book The White Prisoner: Galabin Boevski's secret story. Posted on October 17, 2014, in Author, Interview and tagged author, interview, Maggie's fall, Ricki Wilson. Bookmark the permalink. Leave a comment.